These days when it’s still so chilly I’m still wearing a hat inside means I’m also tripping on the internet to fend off ze Cabin Fever. Right now there’s lots to look at – Fashion Week in Milan for Fall 2015 just wrapped up and I’ve sampled the shows – been busy making some lookbooks for later on Pinterest but mainly just enjoying and absorbing all the intense creativity from the runways. 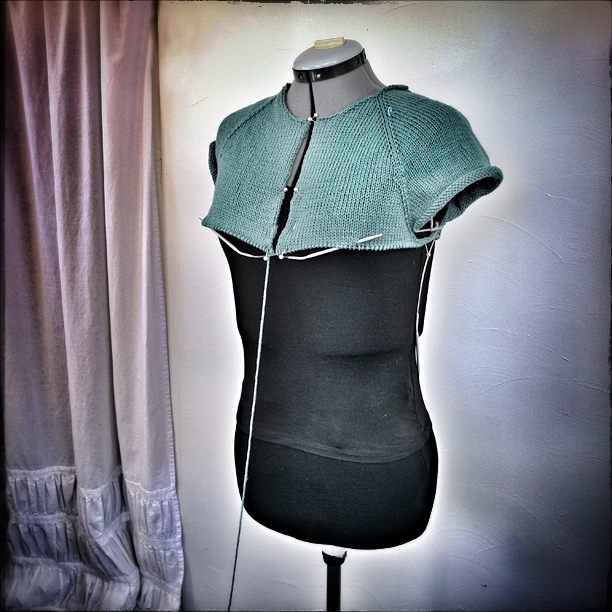 Right now, my Stockinette fixation has progressed to a Basic Chic Hoodie in…lovely Turquoise…or as it says on the label: DUCK EGG which has always been one of my favorites. Just maybe, they’re right! I certainly am mesmerized and calm while I’ve been knitting this.